It’s that time again, the time for a stable release! And I’m really excited this time as this 2.0 marks the beginning of a real new era for my pet project… But let’s try do things slowly and in the right order! First, in case you don’t know about (there are some yet? 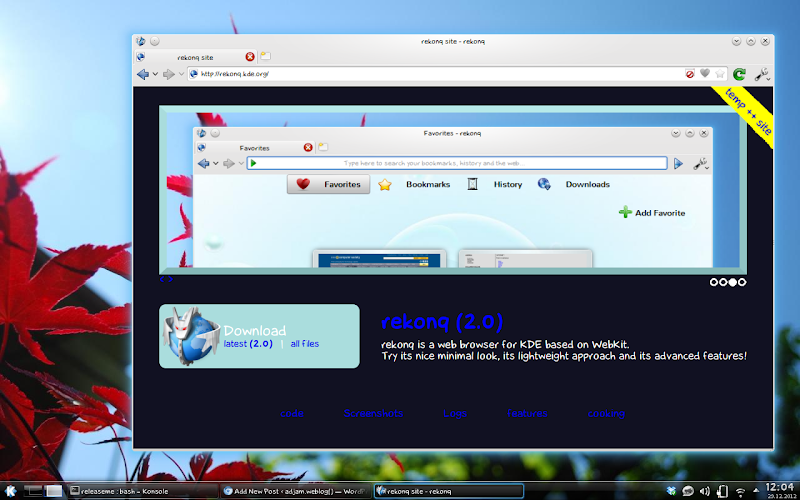 ), rekonq is small project about realizing a light browser for KDE based on webkit. The 2.0 release happening today brings some new features you’ll notice at first shot and some changes under the hood you’ll be going to appreciate (or at least, I hope so). The main idea behind is to realize a “central component” able to browser the web 🙂 and to be used in all our use cases. This is called “WebTab” in rekonq code and it is now responsible for filling each tab in rekonq main UI as well as implementing the so called “webapp” mode. oops… you may have noticed the new UI with tabs up. This is another change I would really implement because I think this is the right UI (at least now) to browse the web. I have some ideas about the possibilities this change gives us and I’ll be going explore them with the next releases. Love it or hate it, rekonq will be tabs up since now. 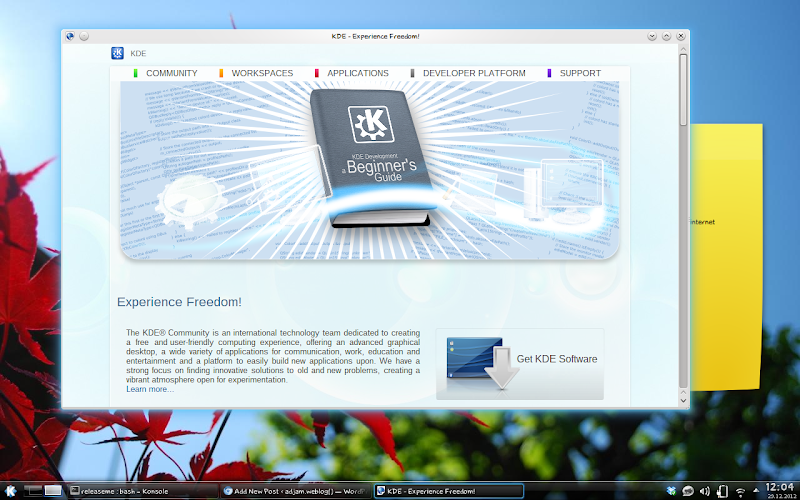 I’m aware this is a big change, compared with other KDE apps UI. We’ll see if people like it or not. I just talked about these ones here and prepared also a video, testing my kdenlive (awful) skills. This entry was posted in international, rekonq, webkit and tagged browser, kde, kio, rekonq, rekonq20, webkit. Bookmark the permalink. Pingback: Rekonq 2.0 - Linux mint, centos, ubuntu - OSWorld.pl - mały świat wielkich systemów!